Recently, Laurie wrote a post on her top three favorite couples from books, and Elizabeth added to the collection with her own favorite couples. I am not a fan of romance, but I do believe relationships are an important part of fiction and life. The way people interact with others speaks volumes about their personality and character. Romance is passionate, engaging, and attention-grabbing, but it tends to steal the show. The bonds between friends, siblings, and parents-children/mentors-students are no less important, but are often underrated. What is an "Overt Friendship" anyway? These are straightforward and often uncomplicated. There are three qualifications for an overt friendship: 1) the two friends must genuinely care for each other, 2) their interactions must look friendly, and 3) they can't be related. If they do not genuinely care for each other, it isn't a friendship, and if the surface interactions appear less than friendly (for example, if they constantly tease each other or compete with each other), it is a covert friendship or rivalry. I am keeping siblings, parent-child, and other such relationships separate from general friendships. Some overt friendships are forged as a brother-like bond when two people face an indomitable hardship together. Other times, the two people are childhood friends who have been together for as long as they can remember. Usually, overt friends are characterized by an undying loyalty to and encouragement for each other. Wait a minute! I thought this was a Top 3s post! 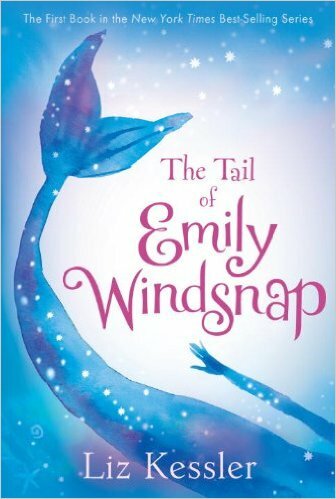 The Tail of Emily Windsnap, by Liz Kessler, featured the titular semi-mer Emily. She was the child of a merman and a human woman, and as such, she could take the form of both parents. On land, she was human, but when she was fully immersed in water, her legs turned into a mermaid tail. While exploring her newly discovered power, Emily met a true mermaid named Shona. Shona was in training to become a siren by practicing her singing and the art of brushing her hair while perched on a rock. The two become fast friends, and throughout the series, they take several adventures together. In fact, a love interest doesn't even show up until the third book. From the fourth book on, the romance dominates the friendship, and in the fifth book, Shona barely shows up. However, throughout the first three books, Emily and Shona share an enviable closeness. Theirs is a fantasy version of two friends from very different cultures. Through them, we learn about the exotic underwater world, but even more importantly, we get to watch two very different girls from two very diverse cultures learn to become the closest of friends. 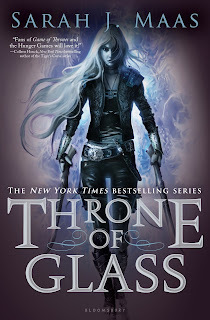 In this book by Sarah J. Maas, Celaena was a notorious assassin who was brought to the palace to compete against other warriors to be the king's champion. While there, she met Nehemia, a visiting princess from an occupied kingdom who is rumored to be associated with the rebels. Nehemia was unfamiliar with Adarlan, Celaena's home and the story's setting, and she was quite thrilled to have a friend like Celaena to practice language with or discuss their favorite books. After a year in a work prison, Celaena sought out any companion who would accept her. Their friendship took many twists and turns as Celaena struggled to discover who was behind all of the murders that were eliminating the competition for her. Although Celaena spent much more time trying to sort out her feelings regarding the prince and the captain of the guard in a classic love triangle, Nehemia remained steadfast, dependable, and mysterious, everything a reader could want. 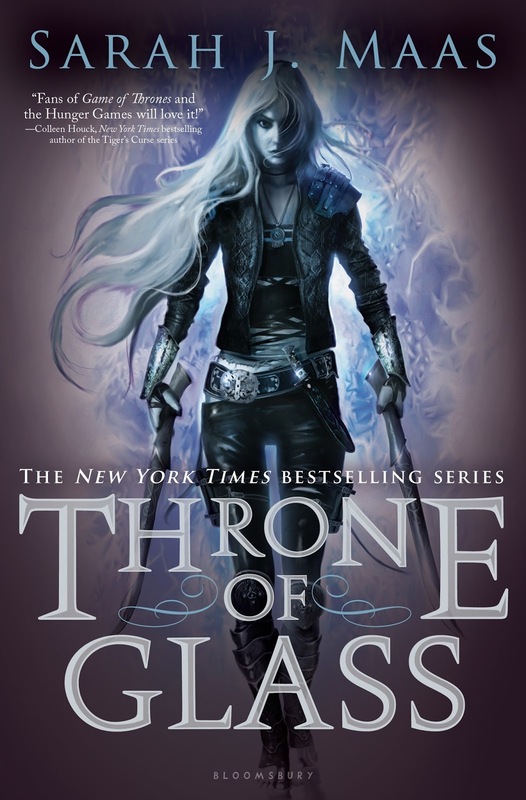 I have not read the sequels, but, given the foreshadowing in the first book, Celaena and Nehemia will grow ever closer as Celaena gets drawn into the political maneuverings of the kingdoms she only wants to escape. I know I talk about Wings of Fire a lot, but there is a reason for that. Clay, Tsunami, Glory, Starflight, and Sunny, the main characters, act like siblings, even though they are from tribes all over the land of Pyrrhia. Although the interactions between Glory and Tsunami lean much closer to covert friendship due to their opposite personalities and dry wit, overall, the general mood is very overtly friendly. The interactions between this five-way, tight-knit group drive every book in the series. Friendships are often supplemental, or drive subplots. But in this series, the bond between these characters is one of the most important factors. 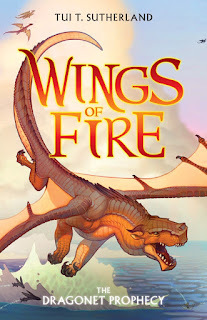 If you would like to read more about the Wings of Fire books, I reviewed the series as a whole here, and here I used the land of Pyrrhia as an example of a great fantasy world. There are many great friendships in books and movies. I used examples from books, and many of my favorite pairings didn't make this list because... well, my favorite books are my favorites for a reason after all! If all I talk about are the Wings of Fire and Bryan Davis books, you will start to think I don't read much at all. Next time, I am going to cover what I call covert friendships. Do you agree with me that romantic relationships tend to overwhelm all others? What are some of your favorite non-romantic relationships? What are some of your favorite overt friendships? Let us know in the comments! Thanks so much for reading! Thank you, I am glad you enjoyed it. :) I can't wait to see what you have! Very mature post, Hannah. I long for more books with overt friendships. Romance is intriguing, but characters tied together when they overcome hardships, fulfill mutual intellectual needs, or stand the test of time are much richer in my opinion. As usual, your examples are right on ... I look forward to your covert post! Yes, I definitely love it when there are strong friendships in a story. The Sisterhood of the Traveling Pants stories are some of my absolute favorites for this reason. Great post, Hannah!